Has the disparity between the rental market and sales market made it impossible for buy to let investors to buy in Central London? Most mortgage companies look for between 4.5% and 5.5% rental yield, although this varies between companies and the different types of mortgages on offer at the time of purchase. Comparable rates of existing rentals similar to the property you wish to purchase can be sent as a demonstration of expected rental income. The greatest hurdle for this client was that she wasn't looking for a stereotypical rental investment, but was wanting a mega £700,000 1 bed in the Peterborough estate. Sourcing this property was comparatively easy. The sales market in both Pimlico and Fulham are buzzing this year, and my client entered into 4 sealed bids within one month. Finally an offer was accepted in the grid in Pimlico. This beautiful light and airy 2nd floor pad was perfect for my client. However wanting it was just simply not enough. With the mortgage agreed a few months prior, the lender's criteria had changed. The maximum they would now lend was £500,000 and we would need to prove a 5% rental yield. 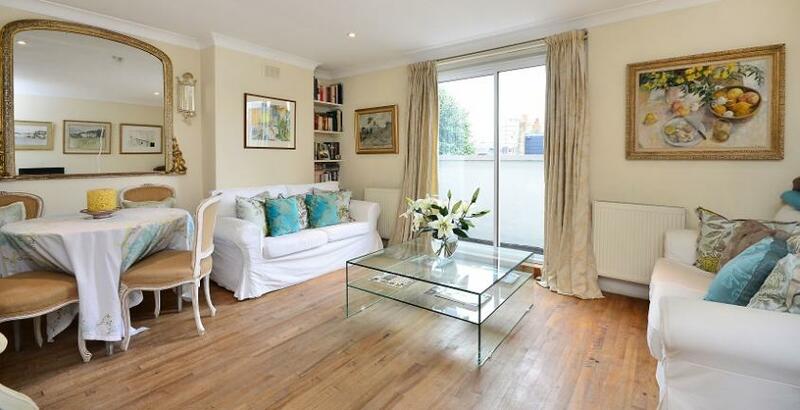 The flat was under offer at £685,000 and could realistically get £500pw as it was a small 2 bed suitable for sharers. Making the realistic actual yield 3.8%. By anyone's standard this is low. Comparables can be used which make the flat’s rental potential look better than it actually is, but as an investor, is purchasing at a 3.8% yield actually a good thing or is this a serious sign that the sales market needs to slow down to enable the rental market to catch up? After the bursting of the financial bubble in 2008, property owners have been reluctant to sell their houses for below their market value. With interest rates so low renting their houses seemed the much better investment. As a result the lack of stock in the sales market has pushed the prices up in areas like Pimlico and Fulham, seeing on average a 10% increase per year, which has flooded the rental market, making rents fall. This disparity became even clearer when we were recently looking at stock in the Sands End area of Fulham. For a top notch 2 bed in the Bury triangle you’re looking to pay between £650,000 and £700,000. Only a few years ago this would have been £100,000 less. However, to rent the same flat, you may look to pay between £425 and £470 per week, thus making the yields around 3.5%. The gap between the markets can't continue to get bigger and bigger. Not only have most first time buyers been priced out of these areas but now the rental investors are having their finance refused, leaving the pool of buyers shrinking by the day. In theory this makes sense but in reality the demand for property in Fulham and Pimlico continues to be high and the sales market doesn't seem to be slowing down any time soon.